Paradox Interactive has announced that they plan to buy Harebrained Schemes, the studio behind titles like the 2013 Shadowrun reboot and this year’s BattleTech. The deal, expected to close this Thursday, will see Paradox pay $7.5 million for the acquisition, or 25% of the studio’s profits over the next five years if those earnings exceed the fixed purchase price. You can definitely find Harebrained on our list of the best RPGs on PC. 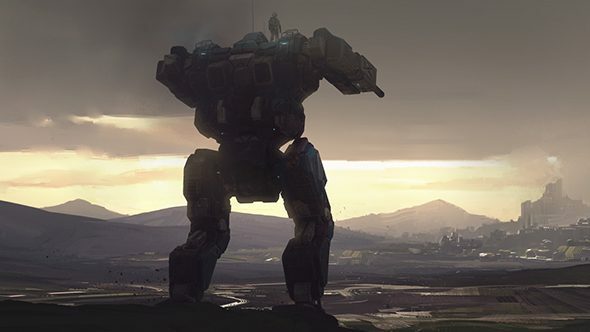 Paradox published the Harebrained-developed BattleTech earlier this year, and it seems this partnership was successful enough for the publisher to seek a proper acquisition. Paradox will pay the $7.5 million at the time of purchase in order to acquire 100% of Harebrained shares from their cleverly-named parent, Harebrained Bag of Holding. Harebrained Schemes was founded in 2011 by Jordan Weisman and Mitch Gitelman. The former was already well-known as the co-founder of FASA Corporation, the company which produced tabletop games like Shadowrun and Battletech. Harebrained’s Kickstarted Shadowrun Returns cemented the company as a solid source for story-driven tactical games. Both companies promise fans that little is planned to change. Harebrained will keep its existing management and creative teams, while Paradox will handle things outside of direct development, like marketing, PR, and distribution, though the publisher will have the final say on whether to greenlight new projects at the studio. In a community FAQ, the companies emphasize several times over that Harebrained will continue to focus on tactical games with a heavy narrative focus. In addition to further BattleTech DLC, the developers have begun “concept development for a new title.” There are currently no intentions of “crossing the streams,” so don’t expect a Crusader Kings RPG or for Mechwarriors to hit Stellaris any time soon.